What Makes a good quick and healthy lunch? First of all, I have to acknowledge that there won't ever be one perfect solution for everyone... We all have different lifestyles, tastes, and goals. Having said that, this post should serve as an excellent starting point for most people... that means if you work a relatively sedentary job and are seeking general health plus a lean physique, these quick and healthy lunch options are for you. A PORTION OF PROTEIN. Protein provides good energy over a long time and is the most satiating type of food you can eat. That means including protein in your lunch will help you to feel fuller without having to eat a lot. Females should typically aim to have about 1 palm sized portion. Males should do about 2 palm sized portions. GET IN YOUR VEGGIES. Vegetables add bulk (that means water and fibre) to your meal to leave you feeling full and satisfied. They also add a big punch of nutrients into your day which gives you important energy. Aim to eat at least one fist worth of veggies, but when it comes to portion control, remember that it's basically impossible to overeat broccoli or lettuce... So pile them on! TAKE IN SOME HEALTHY FATS. Again, fat will leave you feeling full for a long time, and will give you a slow burn of sustained energy all afternoon. LIMIT SUGAR AND STARCH. Most people should minimise their intake of starches, and should definitely limit or eliminate sugar intake at lunch. Ever had a big pasta lunch and felt like you needed to nap afterwards? That's because you're experiencing a sugar crash... That's not exactly a high performance lunch if you need to be productive in the afternoon. DON'T OVEREAT AT LUNCH. Too much food at lunch, and especially too much carbs, will leave you sleepy, low energy and unable to focus. The mid-day slump is a major problem for most people, since the majority of quick and tasty take-away lunches are 80% carbs (think pasta, rice dishes, sandwiches, pizza, etc). In order to avoid the effect these foods have on our bodies and energy levels, we need to get a little creative in order to avoid them and find alternative options that represent a more nutritious balance. For more info you can read my article on super simple yet extremely effective ways to beat the mid-day energy crash here. A Burrito Bowl. These are a great takeaway option as lots of chains and restaurants in the city do them. Load up on veggies and meat, add the guac, but go easy on the rice, cheese and sauces! A Shawarma Plate. Similar to the burrito bowl, a shawarma plate is a great grab and go option that allows you to top a big salad with tasty meat and avoid the pitfalls of a carb-heavy mid-day meal. Green Salad With Protein. Just about any restaurant will have a reasonably healthy salad that you can add some protein too. Get a house salad plus grilled chicken or salmon. Or a Cobb salad. Or whatever else they have plus some meat. Ask for the dressing on the side so you can control the portion of fat... Or keep a small bottle of olive oil and vinegar in your desk / glove box. Coleslaw With Protein. This coleslaw recipe is great to make as a large batch because it lasts so well in the fridge. Top it with whatever protein you have left over from dinner... or grab a grocery store rotisserie chicken if you're caught out with an empty fridge. Tomato Salad. If you don't love lettuce, this is the salad for you! Add some chicken, sliced up Italian sausage or some smoked salmon, and you're laughing. A Protein Shake. Download my free e-book ALL ABOUT SHAKES to find out how to take an average protein shake and turn it into a legitimately healthy, totally nutritious and filling (yes, it should be able to hold your for hours just like a full meal!) meal replacement. I personally do this three times a week because it's so fast and easy. I'm not much of a morning person so I'm not great at organising a full packed lunch before I have to leave for work. I like that I can drink/eat my shakes on the go, because I rarely have time for a real sit-down meal when I'm working at the gym. Make Your Own Grocery Store Picnic. Check out this video that I made at The Big Carrot in Toronto for ideas on how to cobble together easy meal and snack options from the grocery store (or, if you're lucky, a nearby cafeteria). Greek Food. I personally find that Greek restaurants provide the most reliably healthy and delicious takeaway options. Grab a salad and a skewer of meat, or some fish, or some calamari. Leftovers. In my house we have a rule: if we're cooking something, we cook enough for at least 3 meals. It takes the same amount of time to cook the larger batch, and we use the leftovers for lunches. 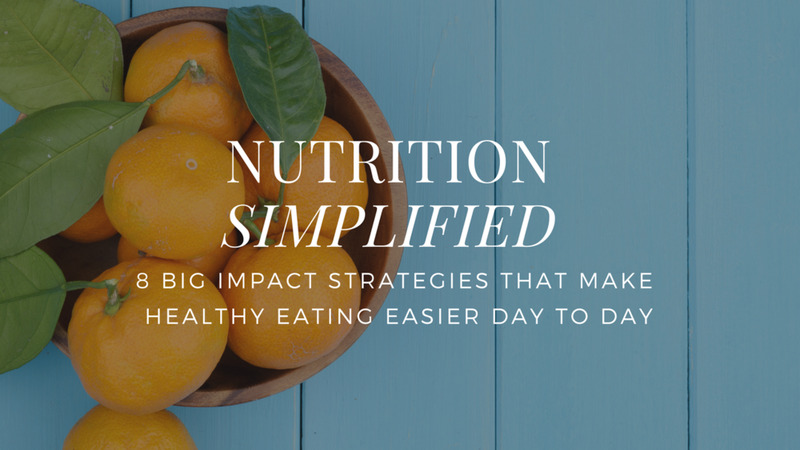 Having access to fast, healthy food is more than half of being successful with nutrition. Jerk Chicken Or Pork With Coleslaw. Where I live in Toronto there're tons of Jamaican restaurants. When you order, skip the rice and peas (or if you really want the bulk, just take 0.5-1cup of rice). We're programmed to eat what's in front of us, so make sure you ditch excess rice before you dig in so you don't end up eating more that you intend to... Eating too much rice WILL lead to a mid-day energy slump! Ackee And Saltfish. This is another great option if you can get takeaway from a Caribbean restaurant near to work. Totally Unexceptional Back-ups. I filmed this video on a dire day in my food life... but it does show how you too can attempt to assemble a fast and healthy lunch when you're totally desperate and have no time. Chew slowly. Drink more water.